Matt Smith went into Sonoma with his Best Tech Brands/FastSharkSupply.com Buell and was hauling the mail right from the start. Running incredible numbers during the weekend, Smith looked to be one of the top contenders come race day. 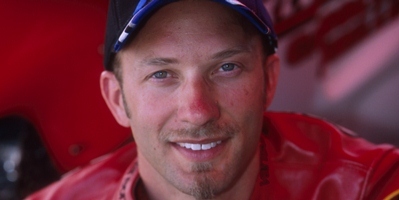 However during the fourth qualifying session, the 2007 NHRA Full Throttle Champion experienced a wiring problem. Having to completely re-wire the entire bike the night before race day, Smith hoped his Buell would go back to holding its own on the racetrack. After qualifying himself in the fourth position earlier in the weekend, Smith would have to face Mike Berry first round and hope his Buell was ready. Smith would make a good run first round. Running a 6.940 et at 190.73 mph, however Smith was a little later on the tree than he would of liked, resulting in a round one loss.